For more than three years during World War II, Les Spence was a prisoner of the Japanese. 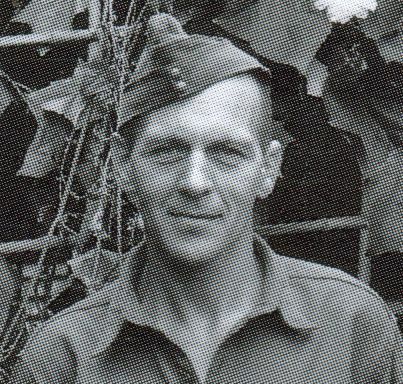 Spence, who would later go on to become president of the Welsh Rugby Union, had been captured in early March 1942 when British forces on Java were forced to surrender. He would pass through a number of prison camps on Java, be held briefly at Changi,Singapore, and be made to work at a mining camp in Japan. 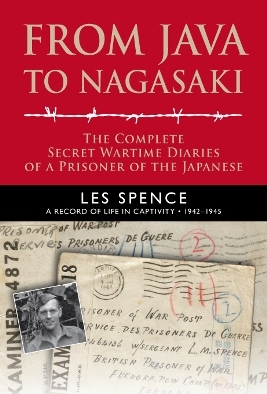 Throughout the whole time, Les Spence kept a diary, which is published in hardback this week as ‘From Java To Nagasaki’. The surviving books begin at the start of 1942 with a convoy of ships heading for a destination unknown to those on board. Les’ writing takes in the surrender of Allied forces on Java, the conditions and life in the camps and the growing death toll. It shows how the prisoners learned to survive: bargaining for food, playing football and rugby, and maintaining a sense of discipline. One of the most intense sections covers the prisoners’ journey in the suffocating hold of a so-called ‘hellship’, taking them from Java to Japan via Singapore. Les wrote in three small books, covering the period right up to November 1945. On his last entry Les, liberated and transported across the Pacific to the United States, has crossed to New York and boarded the Queen Mary for return to the UK. There are many incidents which stand out from the diaries. But the fact that Les’ prison camp in Japan was less than 100 miles from Nagasaki when the bomb goes off is fascinating. The camp slowly discover what has happened and, then, after Japan’s surrender, travel outside the camp to see how Japanese society has broken down under siege and attack. The prisoners are then transported out of Japan via the docks at Nagasaki. Les records the state of the city as he passes through. After the war, Les married his sweetheart Babs – with friend and former fellow POW Wilfred Wooller as his best man. He returned to his love of sport. He was to become chairman of Cardiff Rugby Club and joint secretary of Glamorgan County Cricket Club, and was awarded the MBE. By the time Les died in 1988, aged 81, he had become one of the leading administrators in Welsh sport. Memorial gates were installed at Cardiff Arms Park in his name. 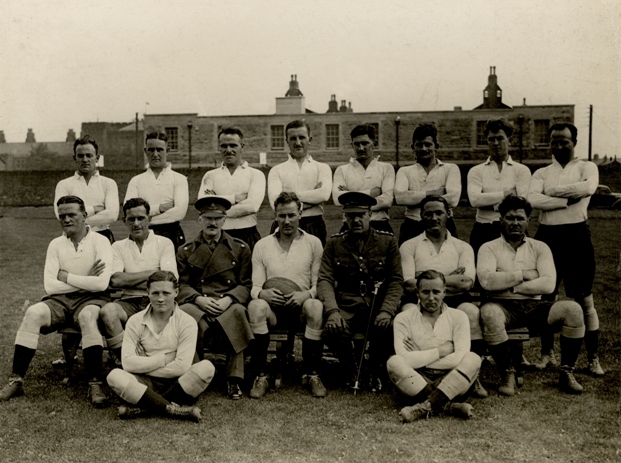 It had been in perhaps his greatest role, as president of the Welsh Rugby Union, that he had helped take a small step to heal the wounds opened between the UK and Japan during World War II. In 1973 he had formed a firm friendship with Shiggy Konno, manager of the visiting Japanese rugby side. And two years later he led the Welsh rugby team on a tour of Japan. It had been Les Spence’s wish that his diaries were one day published. His family tried to fulfil that wish shortly after his death but when the diaries were entrusted to a third party they were lost. They were discovered years later in the back drawer in a newspaper office and passed to me. This month, 70 years after that surrender on Java, they are published in full – with complete notes on the places and names mentioned throughout. These include people like rugby players Ken Street and Cardiff City footballers Ernie Curtis, Billy James and ‘Jackie’ Pritchard. What he was to write over the next more than 40 months is a remarkable testament to courage and endurance in the face of hardship and cruelty – and a first-hand account of how to hold onto hope when all seems lost.